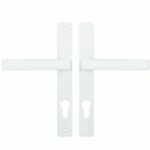 Upvc door handles with 70mm centres. 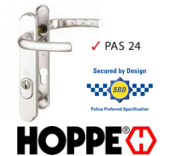 A variety of door handles by Hoppe & Cego to suit door locks with a 70mm centre. All available in Lever / Lever and varying finishes including White, Black, Gold & Silver. 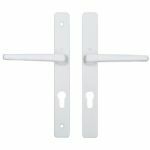 Why not add that bit of style to your door with the Hoppe Munchen Scroll Polished Brass upvc door handle.